This summer I came across the entire Serge Lutens Collection Noir in a boutique where I could smell them at my own pace and in peace. In this repackaged collection reside many of my favorite Lutens' fragrances; I'll name just two: Ambre Sultan and Chergui. As I sniffed, something was wrong. First, I felt the bottles; they were not hot to the touch. Next, I gauged their placement; no way the sun could reach them. Then I inspected the packaging closely: were these knock-offs? (Didn't seem to be; the store I was in is respected.) I realized the bad perfume I was experiencing was likely due to recent reformulations and I'm guessing we can't blame IFRA this time around but, perhaps, a cynical, budget-cutting philosophy at Shiseido. Who knows? Ambre Sultan has lost all its glory; what is now Ambre Sultan is shallow (its lively, gutsy character excised), miserly (the formula seems watered down, thin) and cheap (no rich, expensive ingredients here). Chergui was even more forlorn: I felt ashamed for noticing his mutilated juice...a sorry, nose-clogging, blob of a scent. I won't go on. Collection Noir. The name "black collection" is apt for those of us mourning "dead" perfumes that are now filled with stuffing and harsh chemicals, and covered in bad make-up. Le Participe Passé is the newest member of the Collection Noir. Lots of bloggers and online perfume commenters have praised it, saying it's a return to form for a brand that's faltered over the last years with a series of shudders in bottles: Dent de Lait, Laine de Verre, La Religieuse, L'Eau de Paille, Serge Noir (a scary Halloween concoction...or was). I won't quote what Serge Lutens, the man, says about Le Participe Passé because it's gibberish (as usual), but my experience with Le Participle Passé over the last week was positive, if not ecstatic. It smells like the small, amber-colored vials of perfume you'll find in apothecaries that stock prayer flags, incense and tiny Hindu and Buddhist statues of divinities: the scents have names like Lord Vishnu Musk, Green Tara's Elixir, or Holy Boon. These scents can be pleasant, if "thick." Le Participe Passé smells like sugars: sometimes like brown sugar, other times like jaggery or molasses. It's a dense stew of caramelized sweetness with some orange blossom on top, and a hefty dose of immortelle on the bottom. If you don't like immortelle, forget Le Participle Passé. I enjoy immortelle but my perfume cup runneth over in fragrances rich in that note. Le Participle Passé reminds me of two perfumes I own (and like more than Le Participle Passé): Arquiste Anima Dulcis (its base smells uncannily like Le Participle Passé) and L'Occitane Immortelle de Corse. Le Participe Passé has little development from start to finish (except its "sugar" begins to burn at one point). It has great lasting power and moderate sillage. I like Le Participle Passé better than most of the Lutens releases of the last decade (and it does have the feel of an old-style Lutens scent). One question I often ask myself about a perfume as I write about it: if someone gave me a bottle would I wear it? The answer, in Le Participe Passé's case, is "yes." As I wrapped up this review, my only thought was: "Why didn't I stock up on a few more bottles of Ambre Sultan YEARS ago?" Serge Lutens Le Participe Passé is available in 50 ($150) and 100 ($230) ml Eau de Parfum. This is the SL review I was sad to see but knew was coming. It’s been a while since I’ve been excited about new perfume releases, SL included. Many are unwearable for me, and my sinuses are left screaming after a few sample spritzes. Makes me treasure my vintage bottles of Shiseido’s Feminite du Bois and SL’s Ambre Sultan all the more. I’d add, what new SL releases I do enjoy, I refuse to pay the exorbitant prices for – at the end of the day, I’ll shop my collection. Wages are stagnant and we all have to be- should be- deliberate in what we choose to purchase and use! Smokey…I hope everyone samples the fragrances before rebuying old favorites. The main reason I haven’t bought any Borneo 1834. That’s a good point, some of the old beauties have had the bones removed – better to compare before pulling the trigger. A review of a new perfume that I’ve actually tried – yay! I’m in the group that thinks Le Participe Passe is much more the kind of Serge Lutens I like, none of the recent ones have appealed to me. It reminds me of other things, but nothing I can put my finger on. I’m not sure it’s FBW for me, but then it would also be good to encourage more of this kind of perfume from SL. So, it’s on my maybe list. I’m sorry to read your thoughts on Ambre Sultan and Chergui, they are two that have hovered around my buy list for years. Gaynor, I was surprised at how changed the fragrances are…at least the ones I knew really well from the past. I just mentioned, on another site, that in the 2018 Turin/Sanchez “Guide,” there is a claim about vintage now being difficult to obtain and/or expensive, but in the 2008 “Guide” it was said that vintage was too “heavy” or whatever. I didn’t listen to them, and stocked up on vintage, unlike those who listened to them! Also, I wrote up a blog post about a “perfume expert” (not TS or LT) who said that a niche company should create a niche version of Old Spice, but that was more or less done with PS Fine Cologne by Paul Sebastian (vintage of that one is still selling very cheaply on ebay). Or one could buy Early American Old Spice on ebay, which also sells for low prices, at least if you have patience. As to Ambre Sultan, Iceberg has a fragrance called Amber for Men, which is like a light version of vintage AS, but with a rum note added. It’s been selling for under $10 total for 100 ml for a couple years now, and I swapped off my bottle of AS because I preferred the Iceberg! Bigsly, I’ll look for the Iceberg…that’s the price of a niche sample! Is it the same as Eau de Iceberg Amber or is that different? Yes if you see it listed as Eau de Iceberg Amber I think it’s the same. It should have the number 74 on the bottle in really big font. 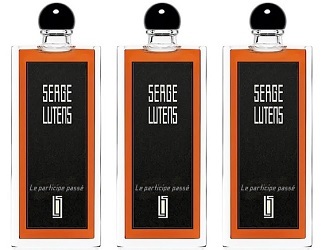 When Fumerie in Portland announced earlier this year that they would no longer be carrying Serge Lutens due to reformulations, I knew it was all over. So many truly great perfumes, ruined and watered down. RIP Serge Lutens. As for Le Participe Passé, I found it okay but not FBW. Kevin, the old Serge bottles are still in circulation over here in Germany (I picked up a 50ml bottle if Arabie in TKMaxx the other day and then saw that there are many cheaper sources on the Internet). They don’t ship to the US, but I‘m happy to send it over to you (as long as US Customs aren‘t known for destroying perfumes!). OK, pity, sadly I don‘t know anyone who‘s travelling over in the near future. I love Ambre Sultan and am hoarding what’s left of my 13 year old bottle (haven’t smelled the new version). However, I’ve been sampling the Le Labo scents, and Labdanum 18 is very similar to my nose – not quite as rich-smelling but worth a sniff if you need a new amber and cistus scent. nicolasix: I’ll finally have to look at my “amber” list I’ve been keeping…there are many I liked as I prepared to do reviews. I think there was a Tom Ford with the lively herbal tinge, too. I’ll sniff the Labdanum 18; thanks. I’ve just discovered Le Labo and I’m impressed. Santal33 is beautiful…different. The Noir is a shimmering masterpiece and Iris41 is stunning. All high quality ingredients beautifully done with lots of choice of product. Serge Lutens perfume is dead! Only vintage bottles worth having. I’ve got De Profundis and Borneo. Stunning! kate: my go-to Le Labos are Gaiac and Oud…perfect for cool/cold weather. Am sampling all of them in time. Labdanum is a good Amber by the way…..
Hey Kevin, I’m glad you review this. I tried it on a strip the other day, and was pleasantly surprised. It smells exactly like the fenugreek tea I brew the night before a strenuous activity. I liked it, and can’t wait to try it again. 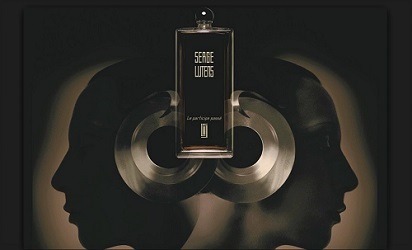 I discovered Serge lutens later than most, so a lot of the older fragrances I didn’t experience in their full glory. I am glad for what I have though, and for what it’s worth, I do like some of the newer ones. Coumarin: this was a pleasant surprise since I wasn’t expecting much! I have a partial bell jar of Iris Silver Mist, which I adore. A couple of years ago, I bought a special travel spray that was available for a while, cylindrical and black. It’s not terrible, but it’s not quite right, either. I used to consider it the best iris, and now It’s a personal dilemma for me whether to even recommend to a friend that they try it. Noz: yes, I’ve seen those sprays. The reformulations abound, I’m sure. I agree, ISM is not what it used to be. And De Profundis smells like hideous laundry musk now. Just got a sample at Barneys. I love immortelle (I have a plant at home) so I really enjoyed this on First Lutens in a few years that I’ve had any interest in. ElizaC: immortelle must not be expensive, since they LAVISHED it on Le Participe Passe. I”ve been wearing all my immortelles this week. I tried it -I did the dreaded blind fb purchase! It didn’t go with my skin at all I had to scrub it off after an hour of no change whatsoever. It must be the immortelle….and I sent it straight back for refund. Sad. I am careful with immortelle now. AngelaB: tsk, tsk! With those blind purchases! HA! Very depressing news about Ambre Sultan and Chergui. Thank you for the warning, Kevin. dramalydia: There are gorgeous perfumes that are IFRA compliant, and then there’s the trend of charging outrageous sums for mediocre perfumes…that are selling well. “This is $500! It’s GOT to be fantastic…or impressive that I own it!” So companies cheapen formulas to make more profits. It will be interesting to see Lutens going forward…will it lose long-time fans like me AND make new fans? I know nothing (less, possibly) about the Lutens line(s). But I do like the way the contributors to NST express their opinions on our shared interest/obsession. There are several very distinct voices here, none more so than Kevin’s: even if I don’t always catch the byline on the latest post, I find I can tell when Kevin has written it within a sentence or two. This one is no exception. Thank you, Sandman…very kind of you! Hi Kevin, so sorry the re-forms are no bueno. I did a little checking and you could still get back-ups of Chergui for a good price at Fragrancenet and Ambre Sultan for a not-great, but not-exorbitant price at FragranceX and Jet.com and even Walmart. The bottles shown are the old-style ones. Hope that helps and I might be putting in a Chergui order myself. Sapphire: at this stage I’m afraid to buy Ambre Sultan: period. My bottles were over 10 years old (bought three at the time). So lots could have happened in the intervening years. I’m moving on to new ambers. In fact, I bought, I ADMIT, unsniffed, the Iceberg Amber mentioned above…placed my order minutes ago. HA! And a P.S. : didn’t like the Iceberg Amber at all…gave it to a friend who appreciates it.